So with the Beaverton Celebration parade over, the last parade of the campaign season is done. For all those who cheered for me while I walked with my friends and family, thank you. I had a lot of fun shaking hands and giving out candy. 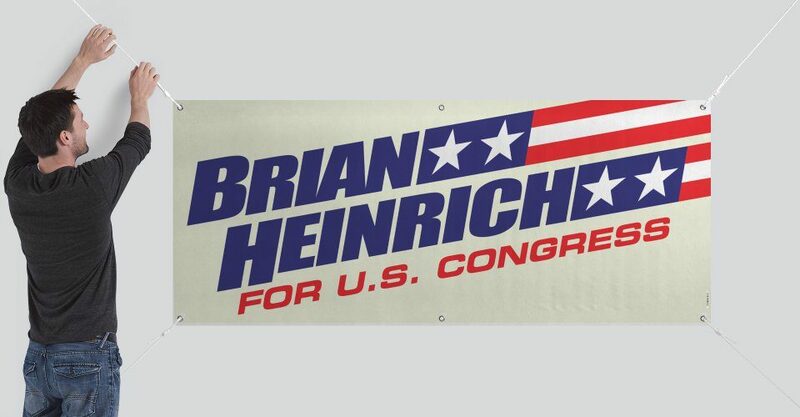 I don’t know if you noticed, but I always entered the parade as myself-Brian Heinrich for US Congress. My competitor’s campaign always joined in with her Party’s entry. I separated myself intentionally. You see, the job of a Congressional Representative is to represent the people of his or her district. Now it is true, I am the Republican nominee, but ultimately I am conservative. This means I believe we need limited government, lower taxes, more state rights and more individual liberty. With these basic principles in mind, that is how I intend to represent you. Now I have met the incumbent for my position, Suzanne Bonamici a couple of times. She seems like a very nice and genuine person. I think she has a good heart. Where I disagree with her is on two major policies. She is liberal, and believes in even more government involvement in our daily lives through the theft of our own tax dollars. She is also very political party oriented. She often votes party lines regardless of the needs and wants of the people of district 1. Her votes align very well with those of Nancy Pelosi’s. I prefer independent thinkers. I am one. My name is Brian Heinrich and I am going to be your next Representative for Oregon’s 1st Congressional District.